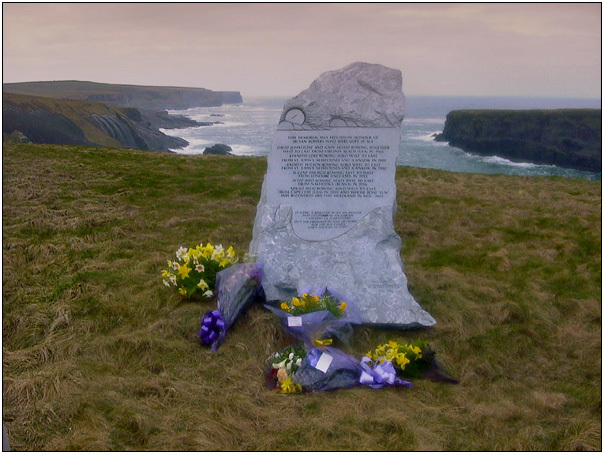 At 11.00 am a helicopter from the Irish Coast Guard flew over the site of the monument to Ocean rowers. 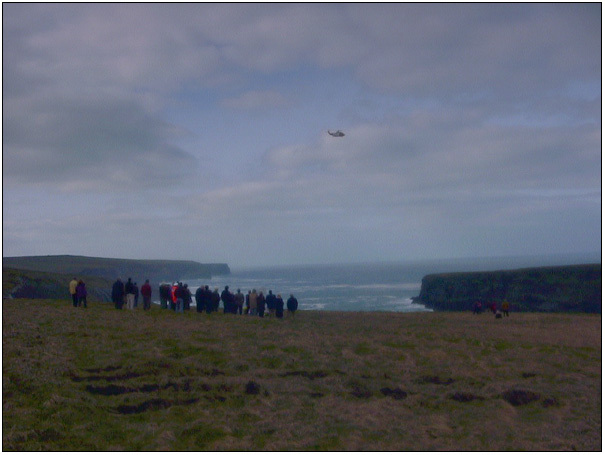 At the same time the Kilkee rescue boat was standing by in salute. 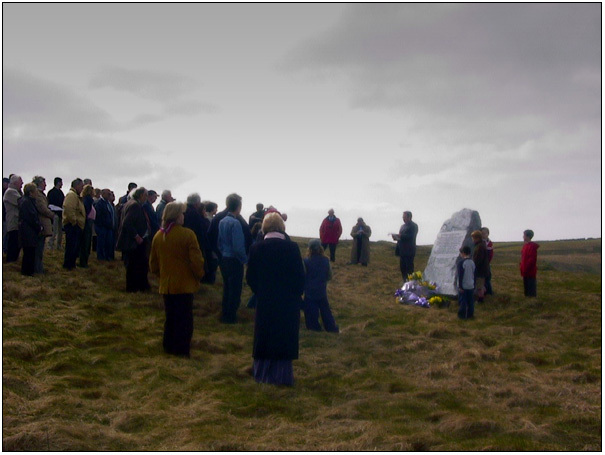 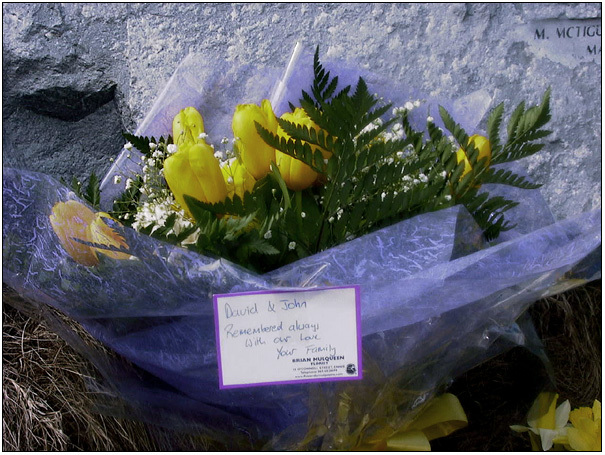 The brother of David Johnstone (Andrew) and his wife sent flowers that were delivered to the monument. 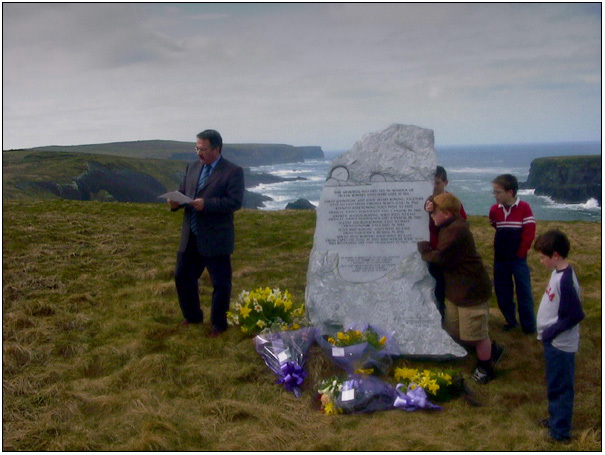 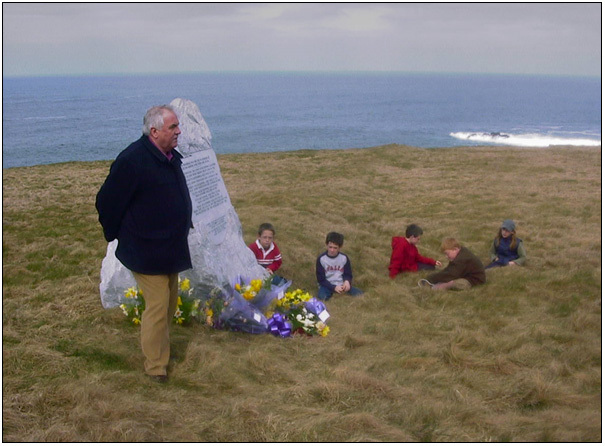 L>R Tom Byrne, President of Kilkee Civic Trust; Louis Bird, Peter's son and children of Tom Byrne. 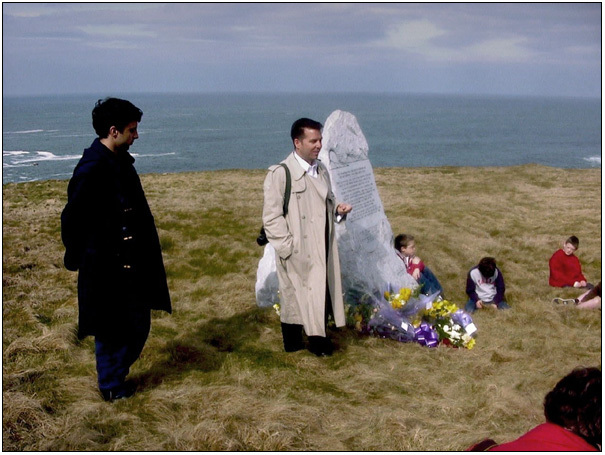 (L>R) Ivan, the youngest brother of Nenad Belic and Adrian, Nenad's son. 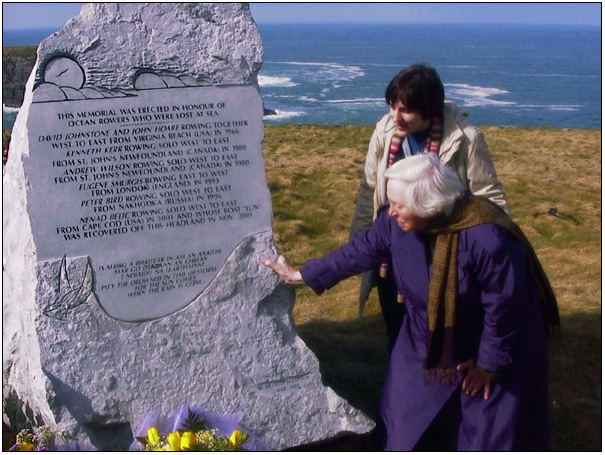 Joan Bird, mother of Peter, and Peter's neice Lucy.